You know the old joke. The tourist in NYC asks the native, “How do you get to Carnegie Hall?” and the native New Yorker say, “Practice, practice, practice.” Well, I’m not ready for Carnegie Hall quite yet, but I have been practicing my spinning. A lot. I started spinning on July 12th and I haven’t missed a day. In the past 12 days I have spun 7 ounces (200 grams) of Knit Picks Wool of the Andes, 1 ounce of mohair/Shetland blend, one-and-a-half ounces of Corriedale, and half an ounce of Bluefaced Leicester. Yesterday I finished spinning up the rest of the dark green (Aurora Heather) Wool of the Andes fiber that I bought from Knit Picks and even got half of it plied last night. I plan to ply the rest of it later today. It’s a beautiful, rich shade of green. Oh, my! Aren’t you observant! 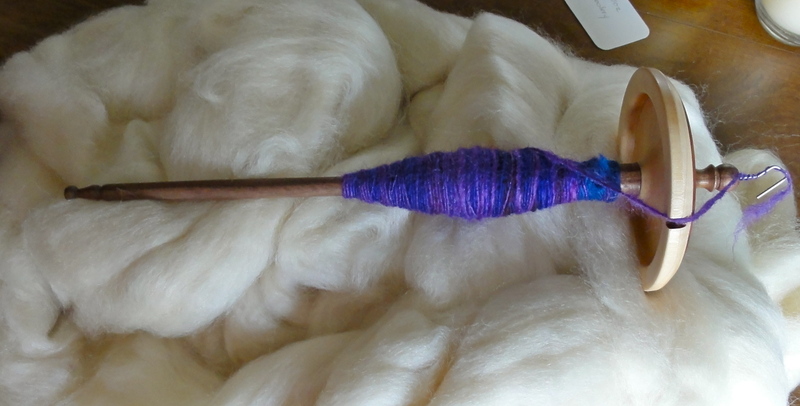 Yes, that purple yarn is on a new spindle. 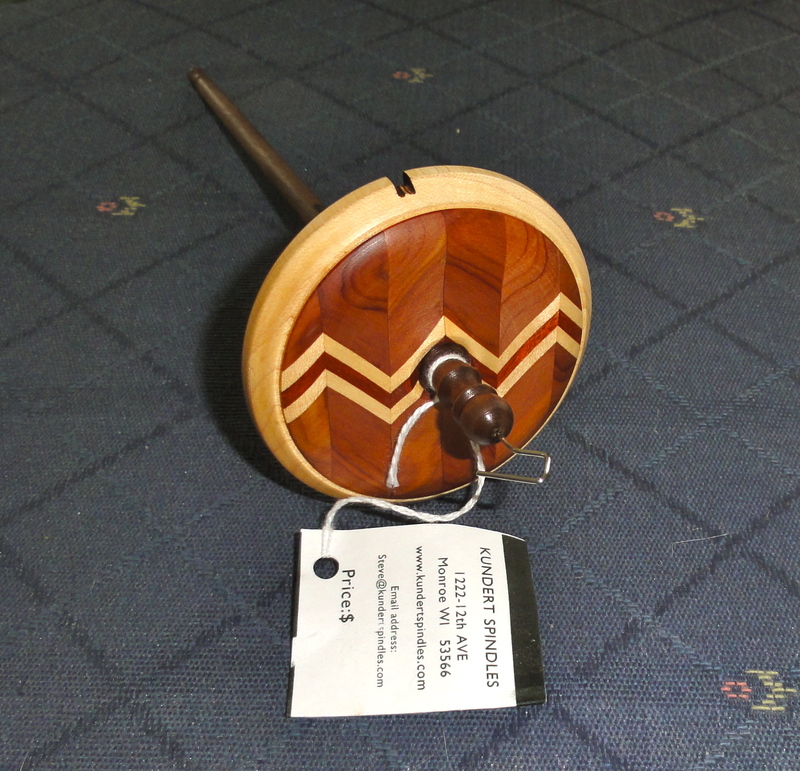 I bought a Kundert spindle. It’s not just a great tool, it’s a work of art. My Kundert is currently occupied with some gorgeous turquoise Corriedale that I ordered at the same time as the spindle. I am enjoying spinning the Corriedale. 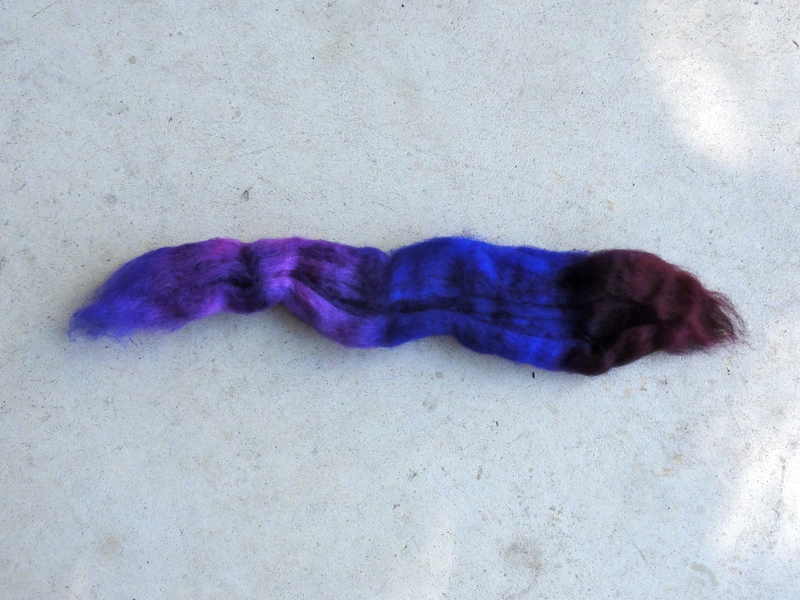 It is a very crimpy yarn and has a lot of body. It feels really substantial after spinning the WotA, which is very smooth and slick. 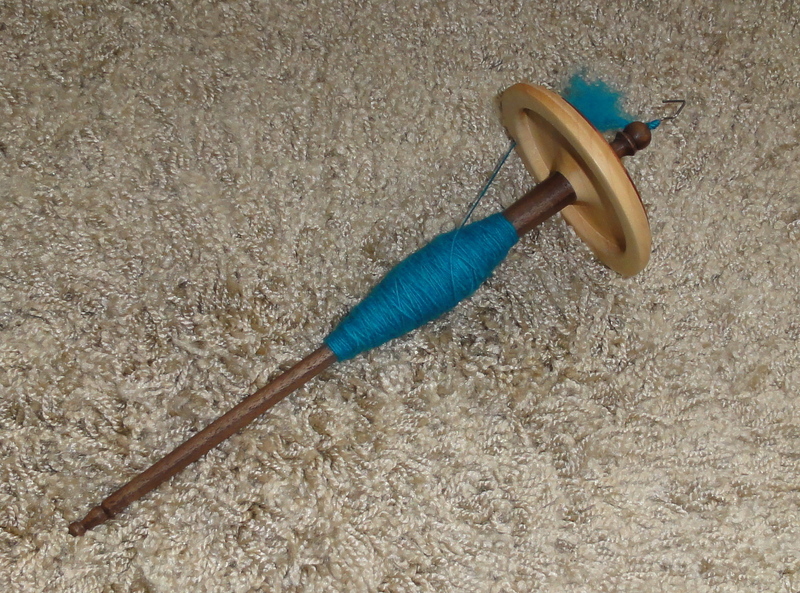 This entry was posted in Spinning and tagged hand spinning, Kundert spindle. Bookmark the permalink. I have a HUGE smile on my face right now! You are doing it!!!!! I love seeing your progress! Thanks. You are my inspiration and my muse, you know.